Lululemon Canada We Made Too Much Sales: Motionful Skirt for $49.00 + FREE Shipping! Stand Out Sherpa Jacket, for $99.00, was $148. Lululemon Canada We Made Too Much Sales: Go Lightly Cinch Bag for $39.00 + FREE Shipping! Lululemon Canada is having a "We Made Too Much sale" where you can find over 100 different styles on sale! Check out these styles below and also enjoy FREE shipping on your order! Home Stretch Short 3", for $39.00, was $58. 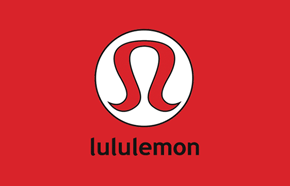 Lululemon Canada has FREE shipping on all orders, no minimum purchase is required. All Lululemon 'We Made Too Much sale' styles are final sale, no returns or exchanges. 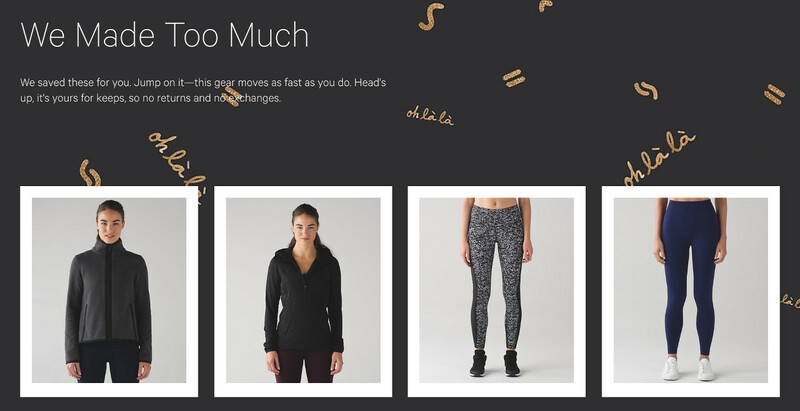 Lululemon just added tons of items to its "We Made Too Much". The sales and deals on the items in this section are huge! Although not an official Boxing Day sale, it's as close as we'll get for Lululemon. Hurry since these deals won't last for long in the popular sizes. Lululemon is having a Boxing Day sale in-store too. of course but according to many customers the lines are ridiculously long and the wait time can be more than an hour.